This dish needs no introduction. It is yet another famous Bengali lentil dish which is known to all. It is yet another famous Bengali lentil dish which is known to all. 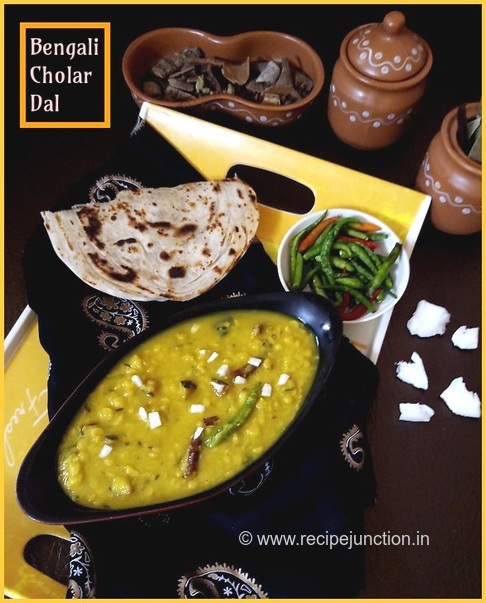 Chana dal which is also known as Bengal Gram or Yellow Split lentil cooked and tempered with selective spices which makes it irresistible to ignore. This dish holds a very soft corner for all Bengalis and therefore it is cooked during any special occasions and off course during festive days. 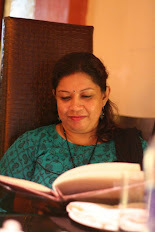 Durga Puja or Navratri is here and I'm cooking all the traditional dishes these days and that reminded me that I havn't posted this dish yet on my blog and here comes the post. Don't know why I havn't posted this here. But this dal is cooked very often in my house as it is my hubby's favorite dal. The most favorite and to-die-for combo with this dal is Luchi but sometimes I love with paratha, too. 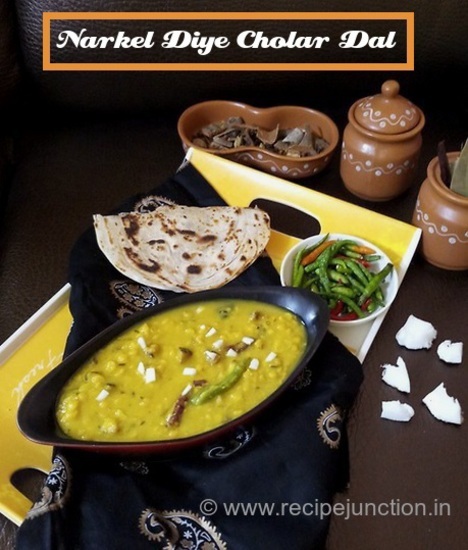 This dal is cooked without any onion and garlic and thereby it's perfect during festive days. You can cook this without coconut too but you know, coconut never fails to upgrade any dish. 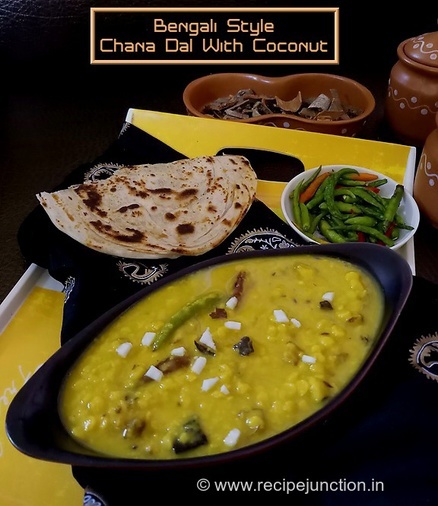 This dal is no exception and Bengalis can't think of chana dal without coconut. Ginger, grated : 1 tbsp. Soak chana dal in hot water for 2-3 hours. In hot water it gets soft faster than normal water. Cut coconut in small pieces, then chop them in small tiny pieces. Pressure cook the dal adding little salt and a tsp. of turmeric powder for about 5-7 minutes. Chana dal tends to cook very fast. Mash the dal with a spatula, but partially. When oil is enough hot, add the coconut pieces in oil, fry for 2-3 minutes but do not let them change the color. Remove and keep aside. In the same oil, add ghee. When hot, add dry red chilli, cinnamon, cardamom, cloves, bay leaves and lastly cumin seeds and green chillies. When all these get brown and cumin seed crackles, add 1/2 of the finely grated ginger. Stir for a minute and then pour the mashed dal. Wash the pressure cooker with 1/2 a cup of water and pour the water in the pan. Add fried coconut pieces. Season with salt and add the sugar. Mix it well and let it boil for 2-3 minutes. Remove from heat and serve. You can serve it with luchi or with paratha. It tastes equally good but with luchi/puri it tastes a wee bit better, I confess. Try for yourself and conclude.